How Far is Sky Modern City? 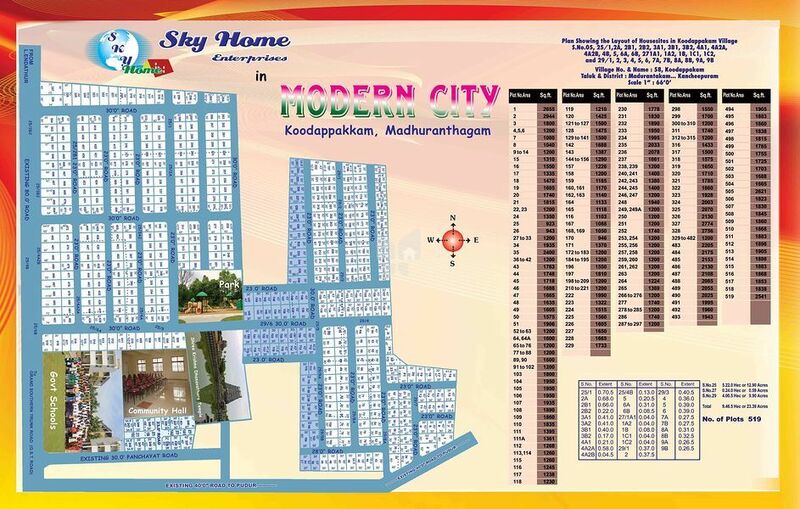 Sky Modern City is a residential development in Kodapakkam Taluk & District, Madurantakam, Kancheepuram. It offers a total of 519 odd dimensional plots ranging from 923 sqft - 2774 sqft.